The voice of the farmer: Erika Watson. We bought Bula Mirri farm 2 years ago, first with the goal of rebuilding our business Epicurean Harvest (we had started on leased land) and creating our home, then with the aim of bringing people into the farm space and share the passion and creativity used to regenerate landscapes. The property is 120 acres, of which 2.5 acres is currently a commercial farm. 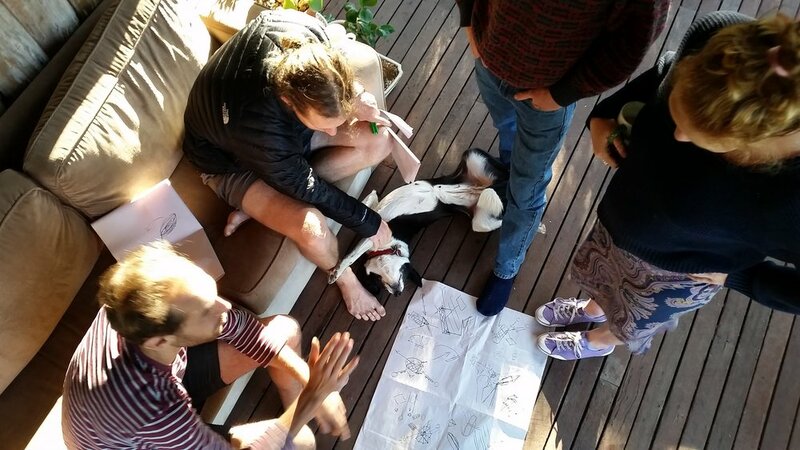 We want Bula Mirri to be a place dedicated to regenerative and collaborative practices to provide people with connection to land, provenance, food and culture. After the recent second workshop session here on the farm, Hayden and I are so thrilled to be reigniting our creative passions and exploring our farming knowledge and methods with KSCA artists like Mark, Laura and scientists like Bjorn. The concepts discussed with Mark and Bjorn have evolved away from the idea of solar gardens shading dams to reduce evaporation. We have held onto concepts of light and shade and thought about the wonderful mirroring inherent in solar panels as both solar energy technology and photosynthesis in plants. Now we are imagining the whole farm as a solar garden, and have moved the project concept to the Epicurean Harvest garden to explore how solar aesthetics can be part of a commercial space and also interact ecologically. I can’t wait to see how it unfolds throughout the rest of the year. We are excited by the idea of installing solar panels on structures to mimic the design of trees, harvesting the light they capture to drive the pumps for irrigation or feeding into the grid. These panels could then be used as higher canopy “plants” to support understory plants that benefit from shade during hot months, especially as the weather patterns become more extreme. This fascinating interplay between technology and the environment would create a layered food forest that drives its own water source. This can benefit the farm with a passive use of solar energy, to help grow plants that also use the sun’s energy to produce food. We hope we can also utilize the data that comes from the solar panels to inform irrigation systems in real time (sunny days need more water than overcast ones). I also think it would be beautiful to be able to convert the data received through algorithmic parameters. This would mean different strengths of light would be converted into sound or drawing, as if the data were a manifestation of light and shade received through a different human sense, and thus another layer of what a garden or the environment can be. The weather is part of Hayden and I: it shapes us and informs us and feels like a constant flow between our senses and the world around us. Hayden and I both have horticultural science degrees (this is where we met) and backgrounds in music and art, which is why we embraced this project. But more importantly this project came at a time where we were facing the drought, and felt overwhelmed with the burdens of managing land and relying on weather conditions for a livelihood. Feeling isolated and carrying the weight of worry for the future, we started looking for new ways to frame what we still cared for greatly. 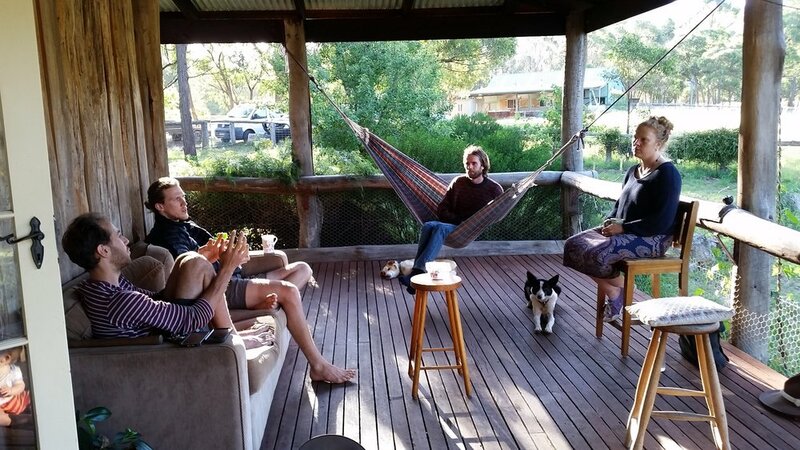 This led us to explore the concept of bringing art and artists, and cultural exchange into the farm… and as if our thoughts and conversations on the verandah were heard, Laura called to see if we would like to connect with the Artist Farmer Scientist project. 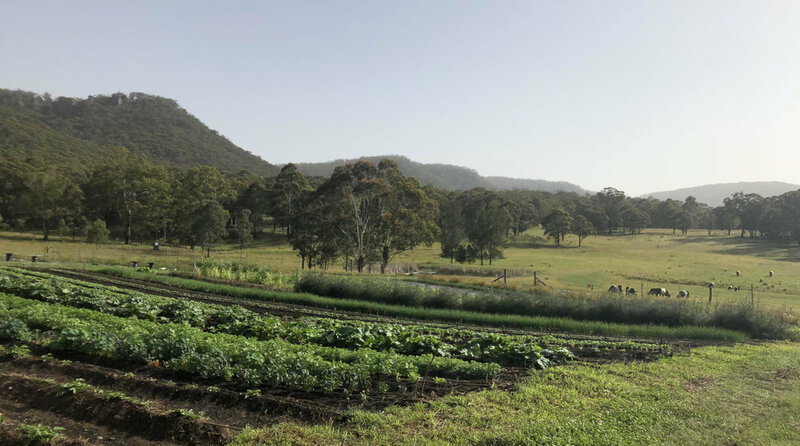 We hope to eventually be able to offer, along with the “learning to farm” volunteer residencies we currently host at Bula Mirri, residencies for art practice, events and exhibitions, a space for drawing the community together on common ground between Sydney and the Central West NSW. We hope to be involved in more art and regenerative farming projects in both urban and rural settings and to still produce food meaningfully. Bring on the future we say! Come along to‘KSCA’s Art and Farming Picnic’, April 28, 2019 to see the solar energy project in action! Epicurean Harvest will show us around the farm, and with collaborators and other guests we’ll picnic and discuss art, sunshine, renewables, farming and the future. Bookings are essential, event information is HERE. Older PostArt Farming and Cultural Change, oh my!